Safe and Protect Ltd are family run business located in Galashiels in the Scottish Borders from where we cover the whole of the UK*. We are MCS and Green Deal Installers who offer a wide range of renewable energy technologies at very competitive prices. We strive for quality in all aspects: we use good quality products, demonstrate second to none workmanship and provide excellent customer service where we're contactable directly without the middle men. Our main mission is to help our customers in gaining the most out of their investment in green energy all whilst helping to sustain the future of energy. To achieve this we offer FREE, no obligation renewable energy surveys and quotes for domestic, commercial and community properties. Contact us today to put a green step in the right direction. Very informative and professional meeting. Work scheduled for this month. I am waiting to receive an installation date. Safe & protect were brilliant to work with throughout. Our initial conversation with them was excellent and informative, as was our initial meeting. On installation day, their workforce conducted themselves in a totally professional manner throughout, leaving our home as if they’d never been. Once they’d gone, Ewan, the owner, went through everything with me answering all my questions. I received follow up phone calls and emails from their office ensuring everything was working . I would definitely recommend them. After months of research and quotes from serveral companies I asked Safe and Protect to install our solar. Ewan was very patient, answering all my questions and always available on the phone/text. The install was fast and meticulous, the crew working cleanly and efficiently, talking my wife and I through the system. The after installation support from Donna in the office has been exceptional, supporting our FIT application and remaining on hand to answer questions. 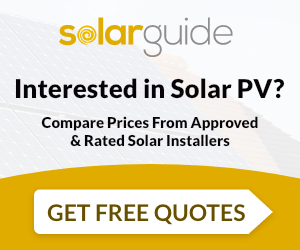 The customer service, good products, keen pricing and knowledge of all things PV helped me choose Safe and Protect, and I'm very glad I did so. I can happily recommend them. We decided to go with Safe and Protect because their initial site survey was the most knowledgeable, thorough and painstaking All in all, a highly professional job and great customer service, and we are delighted with the performance of the system to date. The guys were great. They did exactly as they said they would, turned up on time, did a great job around our house and left fully working and tidy. Great experience, including their follow up with manuals and certificates. Would definitely recommend Safe & Protect. Safe And Protect Ltd are MCS accredited engineers who undertake installations of Solar Water Heating and Solar PV. For similar installers in this area please visit the Galashiels solar page. "Very informative and professional meeting. Work scheduled for this month. Not expecting any problems"